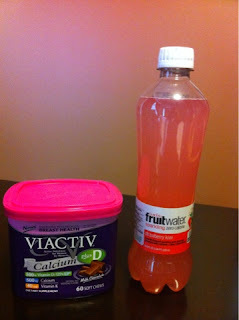 Frugal & Fabulous: Free Vitamins @ CVS! Have you checked the magical red machine at CVS lately? I have been getting coupons for $3 off vitamins! This box of Viactiv chews was clearanced at $2.37 so I put the overage towards the fruit water! I got these two things for a grand total of $.72! That's my kind of deal! Get anything good at CVS this week? LMK!